Ask any Iranian, “why did the mullahs manage to kick out the Shah?,” and they will give you one word, “Carter”. Here is a link, to a very right wing summary of the current state of affairs surrounding Iran. For many years, the US right wing supported Iran, as a bastion against the Soviet Union. But once the US left wing got elected, the world changed big time. Even when the Seyyeds went mad, the exodus of Iranians pleased the world no end. USA and Canada, got millions of top notch Iranians and their wealth. Proxy trading with Seyyeds became widespread. So do you wonder why things are not changing in present day Iran? Well most of our top notch people are not in Iran, and are doing business outside. But do you ever wonder what really keeps fueling the Seyyeds paranoia? It is the US right wing, and UN sanctions. This paranoia will force Iran into a pariah state. So the argument goes, that if the US left wing got elected in 2008, kissed and hugged the Seyyeds, then the clandestine nuclear activities would end, and the 12th Imam would have to wait a bit longer. Ah, but wait a minute, the 12th Imam&apos;s return, is non negotiable to the Seyyeds. So it is false to think, that either the left or the right wing, could stop the Seyyeds&apos; minds. The Seyyeds are siphoning the oil fund of the secular Iranians, and there is nothing any outside force can do about it. But the secular Iranians can remove the Seyyeds, and stop Iran from becoming the North Korea of the Middle East. Like so many articles written on Iran, the author refuses to think that we Iranians, like the Indians, are able to remove the Seyyeds, non-violently and moreover nationalistically. 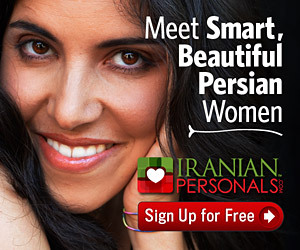 Iranians are not Seyyeds. Seyyeds believe they are descended from Halabi Qureshi (aka Mohammad), whilst we Iranians are descended from Zoroaster and Cyrus the Great. There is of course a massive difference, between the attitude of various Iranians and non Iranians; that celebrates Nowrooz everyday; that celebrates it once a year; that does not know what it is; and finally the Seyyed sort, who has blatantly resisted the Nowrooz philosophy for 1400 years. Again many who write on Iran, refuse to look at the Iranian Spirit that is embodied in Nowrooz. They then cannot see the peaceful life loving Spirit that is part and parcel of 7000 years of Iranian culture. More and more Iranians are celebrating Nowrooz everyday, and of course all Iranians celebrate Nowrooz once a year. Every Iranian is opposing the Seyyeds right now in Iran. They do not need the US. The last thing they want is for some US politician to use Iran as a scapegoat to get votes. But the Seyyeds would love an American as a sparring partner. Iranians need the world press to acknowledge the difference between them and the Seyyeds. The peaceful non violent intellectual movement in Iran, is the only way to prove the illegitimacy of the Seyyeds. So the non violent resistance of Iran has to convince world press of the success of the true secular Iranian. The people of Iran are winning the fight against the alien attitudes towards Iran. The US politicians now have millions of Iranians there to correct them. Internally the people of Iran are winning with their apathy towards the Seyyed rule. It has annoyed them so much that they have had to clamp down on petty things such as men&apos;s haircuts. The Seyyeds have a limited number of thugs that can go around taking down satellite dishes, and forcing the youth to admit guilt. The Seyyeds cannot stop the train of thought along the lines of Free Will in 65 million Iranians. The only reason Iran has not changed, is because the people are not openly stating in public, that the Seyyeds will get destroyed if there is a General Strike. But the Iranian Blogsphere is very active. But we need a more practical solution. We need the bakers in Iran to say, &apos;What if we did not bake bread for you Seyyed?&apos;. We need the oil workers to say, &apos;What if we stopped the flow of oil?&apos; Once every major industry in Iran, talked about not providing for the Seyyeds, then the real power centres of Iran will be seen. A consensus needs to be reached, to show how much stronger real secular Iranians are against the guns of the Seyyeds. The soldiers of the Seyyeds, need Iranian energy and food to survive. So all we need to do, is to deprive the Seyyeds of that. But it needs to be put across non violently, because at the end of the day, we all have to live with each other, without Seyyeds&apos; guns. Astrology, Current Affairs. Princeton Class of 1981.